Committee of Little Napoleons. 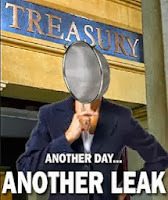 The blogger Another Brick in the Wall is treading on powerful toes in his latest, potentially explosive expose Another typical leak at Treasury. All the gory details are there in the posting, even the names of the people who sit on the so-called Committee of Little Napoleons that may have manipulated the process of this particular tender and, who knows, perhaps bids for other government projects, too. The blogger's concern is that such "leakage, sabotage and inefficiency" will be pinned on Najib Razak's administration and, in the context of the recently-announced Bumiputera economic agenda, will frustrate a lot of good, honest entrepreneurs and undermine the empowerment program itself. "... there are at least 2 companies with better technical AND pricing position than number 4. But it is not about promoting other companies, but questioning why Company 1/21 got it. It means a system of policies and procedures is in place but there are leakages or abuse of power or collusion going on from the breakdown of individual morality. These are the pengkhianat bangsa dan negara! Our source also found that there is Company Coded 10/21 at number 2 technical position (two step higher than number 4) but pricing is number 5. At number 5, it is RM28 million higher at RM345 million than the winner Company 1/21. If Customs and MoF is willing to spend more for a superior system and chose company 2, it is still acceptable. Heard it was the Artiquator system. Company 1/21 is a tight financial condition and have too many big projects in hand with tight deadlines. It is not too sure they can deliver as promised in 2 years time. But why was the company given and recommended by these Little Napolean of questionable morality?" Full story - and leave all comments - h e r e.